Bharti AXA Life Insurance is one of the most reputed insurance providers in India. Known to provide a plethora of insurance products, Bharti AXA is a joint venture between Bharti Enterprise and Paris based AXA Group. The venture which began in 2006, has Bharti Enterprise having a 51% stake while the rest taken by AXA Group. 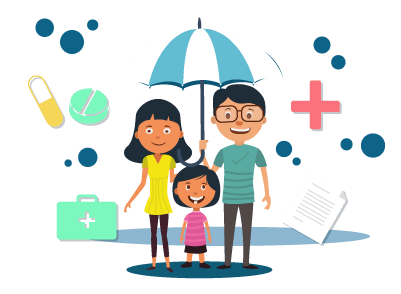 The insurance company takes a lot of pride in taking care of its customers and is always available to help whenever required. People who have availed life insurance or are planning to do so can always contact the insurer’s customer care service in case of a query. Customers with doubts regarding their existing policies may contact the customer care centre by dialing the number 1800-102-4444 between 9:00 a.m. to 7:00 p.m. from Monday to Saturday. Bharti AXA life insurance customers can also use the SMS facility in case of any information they want to avail. The person who wishes to use this facility must have his/her mobile number registered with the insurance company. He/she using this facility needs to type SERVICE and send it to 56677. Bharti AXA life insurance customers can send an email to Service@bharti-axalife.com in case of any query that they want to clarify. The insurance company also provides its customers with the option of calling them back in case of any doubt. The person will have to visit the ‘Contact Us’ section of the official website of the insurance company. They will have to provide certain details such as name, date of birth, city, email ID, etc. following which the customer will receive a call back from a customer care service executive. The customer can also visit the insurance company’s nearest branch and meet the grievance officer to register their complaint. He/she can also call the Grievance Redressal Officer on 022-4881 5678 to register their complaint. Step 2 - If the customer is not satisfied or if the complaint is not yet looked into, he/she can then send an email to the Head of the Customer Service at head.customerservice@bharti-axalife.com. Step 3 - If there is still no response from the Head of the customer service or the solution provided does not satisfy the customer, he/she can then approach the Insurance Ombudsman Office to get his/her issue resolved. Bengaluru – Richmond Road – Bharti AXA Life Insurance Co.Ltd., No – 15, Upper Ground Floor, Corporate Court, Infantry Road, Behind Medinova Diagnostic Bengaluru - 560001, Karnataka.